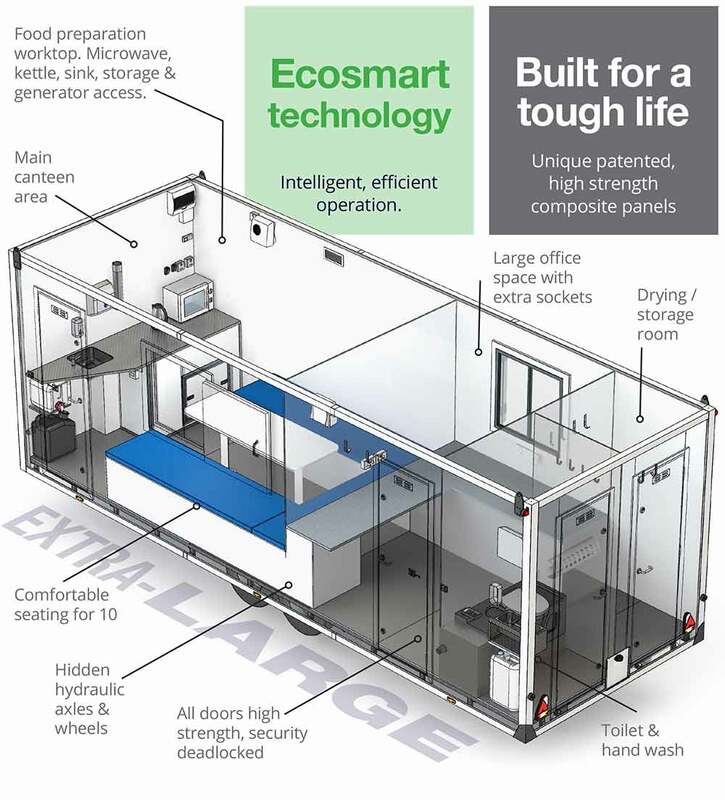 The Ecosmart 22.9 has all the benefits of a static welfare unit with the flexibility of a mobile towable trailer. 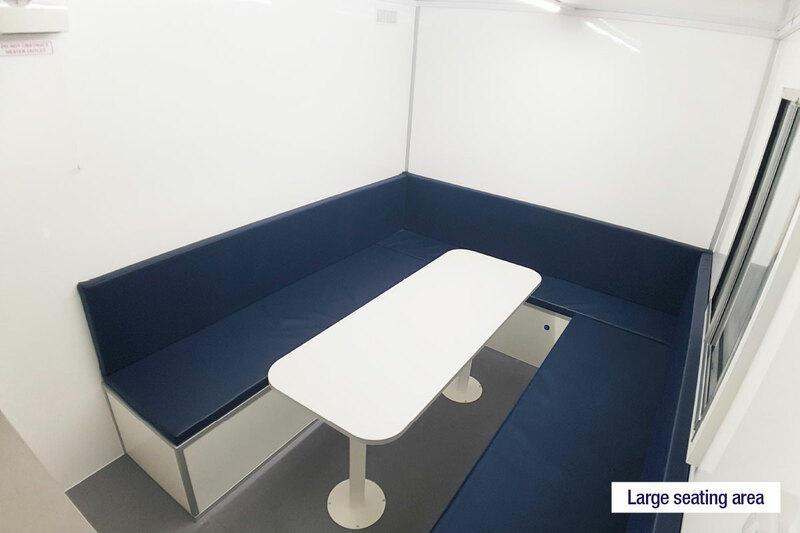 Ideal for any size or type of site. 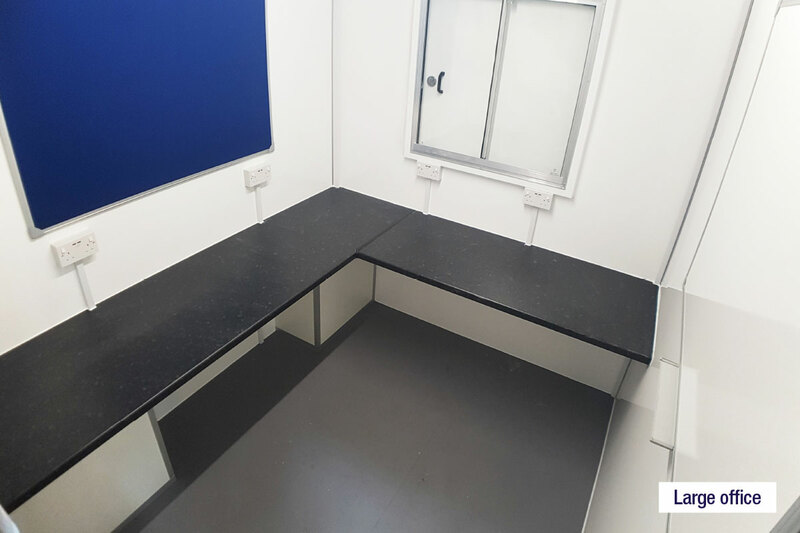 The Ecosmart 22.9 is the latest development in sustainable onsite welfare facilities. 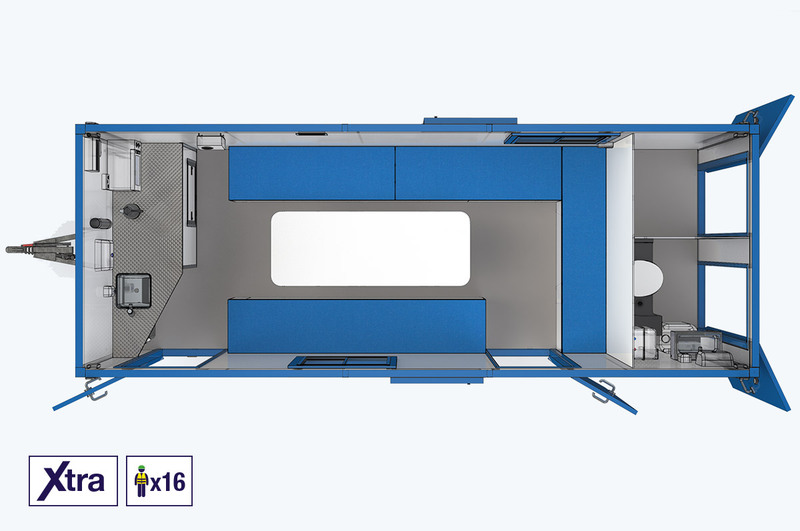 Fitted with a table and bench seating, the Ecosmart 22.9 has running hot water, heating system and a microwave + kettle. The unit is fitted with stainless steel worktops, a stainless steel sink & seamless high gloss wall surfaces for effortless cleaning and long durability. The Ecosmart 22.9 has a host of environmentally sensitive features, including PIR activated lighting that helps to cut down on energy use and cost. Automatic generator timed shut off for unnecessary fuel usage. 195R 14” Low profile wheels & tyres. Electric type approved hydraulic axle. 4 x high security composite doors with 2 deadlocks. Double doors to generator with 2 deadlocks. Aluminium with security door locked internally with thumb turn deadlock. Built in road lights with removable number plate brackets. (a) Costs = Red diesel @ 56p/litre. 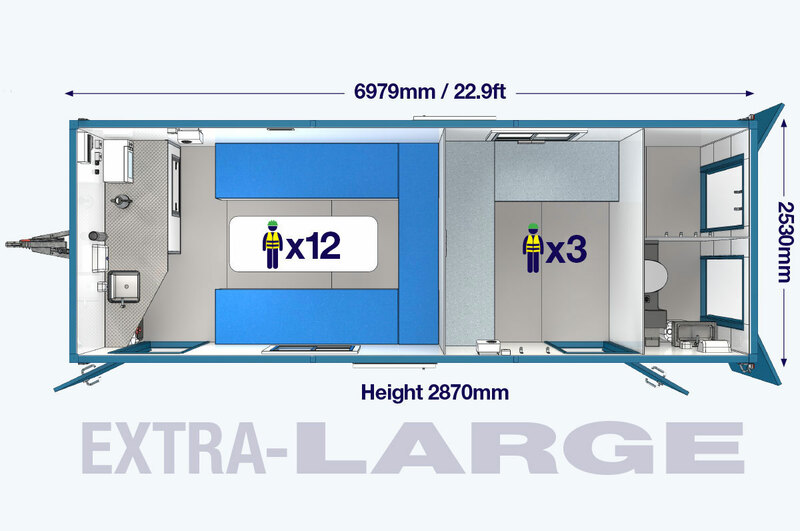 Savings = Compared to an EasyCabin standard 20 with a 6Kva generator. ‘Air’ – a diesel heating system that saves energy, reduces carbon emissions and noise compared to our standard heating. Up to 78% better fuel economy. 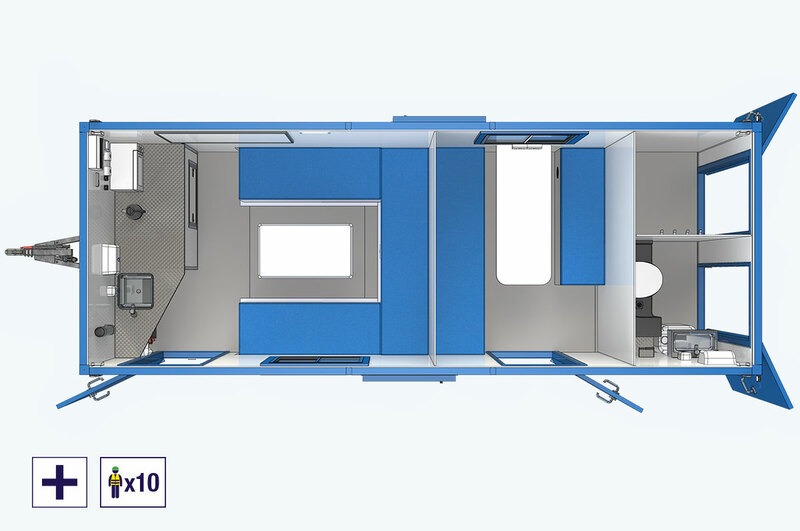 (2) While in un-hitched state, timed from the start of axle retract sequence, until the unit is seated and the cabin door is opened.